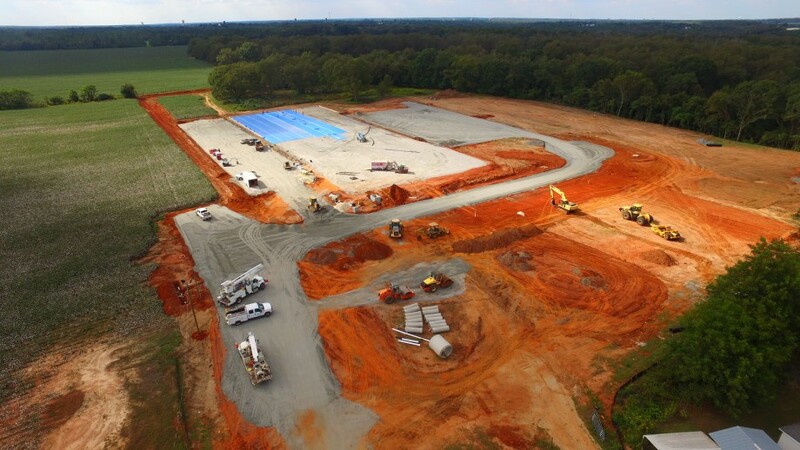 Pure Flavor has started construction work on a new 60,000ft2 distribution centre close to its recently opened greenhouse facility in Peach County, Georgia. The facility will serve as a consolidation point providing an opportunity for a greater assortment of the company’s greenhouse grown vegetables to retailers and foodservice partners in the south-eastern US region starting in early 2019. “We are strategically growing our business across North America and in doing so, need to support this growth with regional facilities that reduce food miles for our greenhouse grown vegetables,” said president Jamie Moracci. As a vertically integrated vegetable company, Pure Flavor’s family of growers produce greenhouse tomatoes, peppers, cucumbers, eggplants and a wide variety of USDA-certified organic items at farms in Canada, the US, and Mexico. The company also operates distribution centres in Ontario, Michigan and Texas to support its wide network of growers throughout North America. A little over 14 months ago, Pure Flavor broke ground on a 75 acre, US$105m greenhouse facility in Fort Valley, Georgia. With phase one of the project now complete, the first crop of Georgia-grown tomatoes is due to be picked in a few weeks’ time. The company’s long English & mini cucumber crop will also be ready for picking in November. “Our team has been hard at work building a state-of-the-art, high tech greenhouse facility in Georgia. What has been accomplished in the past year has been remarkable”, said Moracci.